This week on Teen Wolf: the struggle for dominance. Three supernatural teenage girls pushing past the point of no return, two packs with opposing agendas, and one looming threat so monstrous that it was stricken from recorded history. 3, 2, 1, let’s jam. 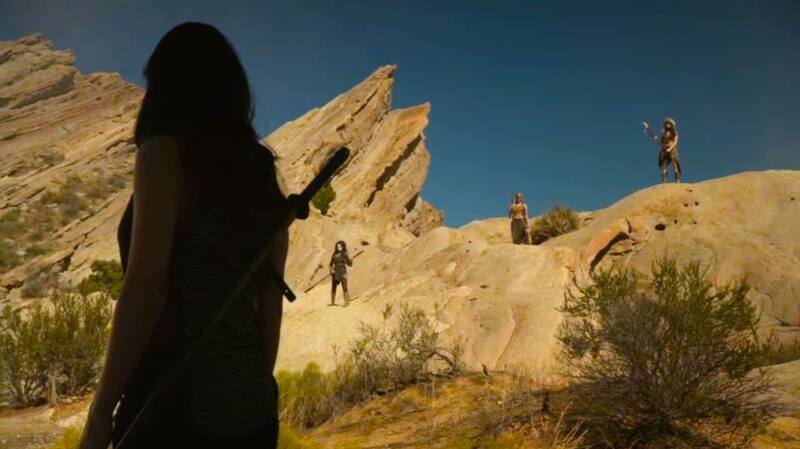 “Codominance” opens on a visually arresting fight between Kira and three skinwalkers. The stakes are high: if they can’t help her learn to control the kitsune within her, she’ll have to become a skinwalker herself and stay with them forever. Rehab is pricey these days. Tensions simmer in both packs; Theo and the grateful undead deal with the Dread Doctors and the Beast while Scott et al. try to “get the band back together.” A few of them even bother showing up for school. Mason has a cute moment of engineering a partnership between himself and Corey in chemistry class. And, of course, Theo spends most of his school hours saying things that would convince any normal set of classmates that he was a sociopathic serial killer, but no one in Beacon Hills has any sociopath radar whatsoever. Scott does a little research on the phrase “Damnatio Memoriae,” the phrase they discovered in the previous episode, and finds that the “condemnation of memory,” as it is literally translated, means a judgment that someone is not to be remembered. While still physically in Eichen House, Lydia has a vision featuring Meredith, who shows her that everyone’s initials have disappeared from the library—scratched away from history and recollection. It’s a little bit of cosmic horror that could be oodles of fun on Teen Wolf. Beacon Hills seems like just the sort of place where massive strange-and-unusual occurrences are ignored or forgotten without so much as a whisper. That subway system we started building? Oh, we ran out of funding, or something. An abandoned shopping mall? Well, commercialism is overrated, anyway. Nearly irrefutable video footage of monsters? Technical malfunction, of course. Beacon Hills: the town that puts its fingers in its ears and yells, “La, la, la, la, I can’t hear you” until the bad things go away. But, Scotty, I don’t think you do, because what Stiles is describing is an accident. Stiles shoving a piece of scaffolding through Donovan’s chest unprovoked, that would’ve been murder. Stiles shoving a piece of scaffolding through Donovan’s chest to stop Donovan from killing him, that would’ve been self-defense. But what Stiles actually did, pull a pin on the scaffolding with no way of knowing that it would impale Donovan, was an accident. Especially when you consider that Donovan was a supernatural creature and could’ve easily survived a fall from that scaffolding. If the physics had been just slightly different, Stiles’s action probably would’ve done nothing more than delay his own inevitable death at Donovan’s hands. Hey, Derek got shot, poisoned, stabbed, cattle-prodded, beaten, drugged, electrocuted, and dropped from significant heights, and he’s still alive, as far as we know. 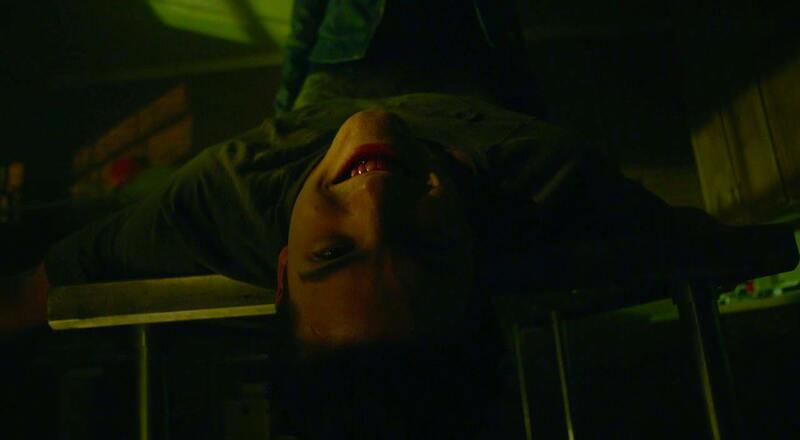 There was an episode in season 3A where the B story was, “Derek is impaled on a rusty pipe in front of his younger sibling for what appears to be hours on end.” Stiles could be forgiven for not realizing in that split second that pulling a metal pin on a bit of unattended construction equipment in a high school library would be enough to waste one of these bad boys. Man, first the sheriff, and now Scott—it just really seems like some remedial law courses are in order. Or just some Law & Order. You know, something like that. Meanwhile, Malia tries to find clues to her mother’s whereabouts at the animal clinic, but Theo interrupts her. How is Theo able to be everywhere at once? How is he able to sneak up on other supernatural creatures with enhanced hearing? Has anyone looked into the possible teleportation angle? At any rate, the scene really showcases what I love about Theo: his unabashed baddy-ness. He is just a villain, in the unadulterated comic book sense of the term. If he had a mustache, he would twirl it, and he is 100% okay with being that way. As the episode comes to a close, Kira fails the skinwalkers’ test and barely escapes from them, with the help of her mother, Scott, and Stiles. Just when it looks like the McCall pack might have a moment to rest and regroup, Mason announces that his honeypot situation with Corey has finally yielded intel: Theo is looking for a blind alpha, Deucalion. There are so many villains running around at this point, from Theo and the Dread Doctors to the Beast and Grandpa Argent to Deucalion, that our teenaged heroes might consider earning pocket money by manufacturing a set of villain trading cards. For me, the best part of “Codominance” is getting to see Kira and Malia on their own separate paths, related to (but also independent of) the rest of the pack. They complement each other, too, in a way—Kira risks her life to control her inner beast, so to speak, while Malia lets hers run murderously wild. And their arcs this season are both inextricably linked to their relationship with their mothers. Kira learned the truth about her mother, Noshiko, in 3B, and now must put all her trust in Noshiko to help her through a struggle for dominance with her kitsune spirit. Malia, on the other hand, can’t forgive her mother for essentially turning her into the aggressive, mistrustful person she is today, and currently can’t see past her need for sweet, sweet revenge. We can only hope that Meredith’s psychedelic mentorship of Lydia will soon lead Lydia to become the terrifying banshee we glimpsed in the flash-forward season opener. Women of Beacon Hills, all day, every day.